She has played jazzfestivals in Berlin, Bochum, Detroit, Leipzig, Münster, Nanjing and many other cities as a soloist, in duos, ensembles and big band music. Similarly, she has claimed great success with concerts and tours to USA, Taiwan, Poland, Bulgaria, Switzerland, Austria, Bosnia-Herzegovina, China, Ukraine and throughout Germany, in Gewandhaus and Mendelssohn Hall in Leipzig among other places. Broadcasting company productions with the DLF and West German Radio, broadcasting company interviews and recordings in Germany, Taiwan, China and Bosnia-Herzegovina. She has performed the works of Ullmann, Schönberg, Weill, Eisler, Webern, Schostakowitsch and many others. After her ensemble multiboxx performed the World Historical and Cultural Festival in Nanjing 2004 in 2006 though 2008, she organized and conducted one of the first practical youth exchange projects of young Chinese and German musicians in Nanjing and Shanghai as a youth symphony orchestra. This international orchestra performed the premiere of her composition “lullaby for K.” in Nanjing for 10.000 people and also in Leipzig within the scope of the ‘Bach-Fest’ in 2008. She performed in New York 2009 and 2010 with Levin, Yamazaki, a.m.o. and toured with Elliott Levin, Jair-Rohm Parker Wells and Klaus Kugel through Germany and Austria. Simone Weißenfels is teaching piano at the world-famous Thomanerchor in Leipzig. “… unusual tone colors, dramatic change of tempos to racing Speed entranced audience as a pianist to impressive final chord. 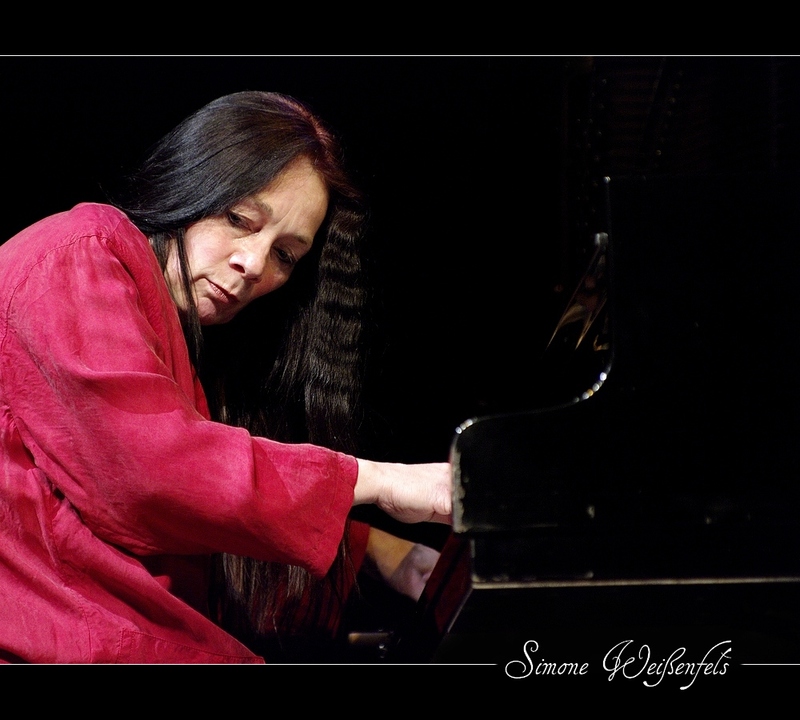 Simone Weißenfels has a special ambition to creative music, to contemporary as well as to jazz. For what it here … has done, any description of the Superlatives to unidimensional. Adam Smith is a composer, multi-instrumentalist, and recording artist. Adam is Keyboardist/Guitarist for groups Descendre & EYE. Guitarist for Deadsea. Drummer for Wizards & as well as with Simone Weißenfels, Elliot Levin, & Scotty Bottcher. Adam releases recordings for Backroads records. He works with a wide variety of extremely gifted and unique musicians, and multi-media artists in the US and Europe. Cox currently figures into the Ohio Kosmigroov band Wizards as the driving Rhodes and key-bass player therein, and plays drums in the avant-piano trio Winchester Howse. 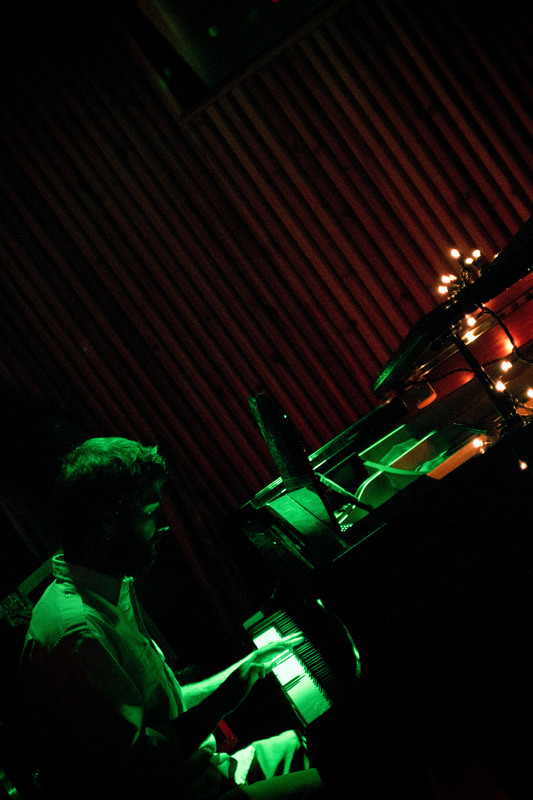 He is also pursuing the art of improvised solo piano, and has released an album of solo works (Ruminations, 2011). He’s had the privilege of performing with Tatsuya Nakatani, Jim “Jimzeen” Ryan, James Cornish, Michael Carey, Adam Smith, Aaron Putnam, and Hasan Abdur-Razzaq. This night at Robinwood, Gerard will play a couple of solo pieces before asking musical comrades Jason Shapiro (Toledo, saxophone/telescope), Dale Johnson (piano) and Brooke Smith (percussion) to join him on stage. This is Cox’s second time playing at Robinwood, having previously played with Wizards. Queens-based The Home of Easy Credit challenges the boundaries of free-improvised music, jazz, folk, and pop music with an iconoclastic approach that defies all those who seek to classify music by genre. 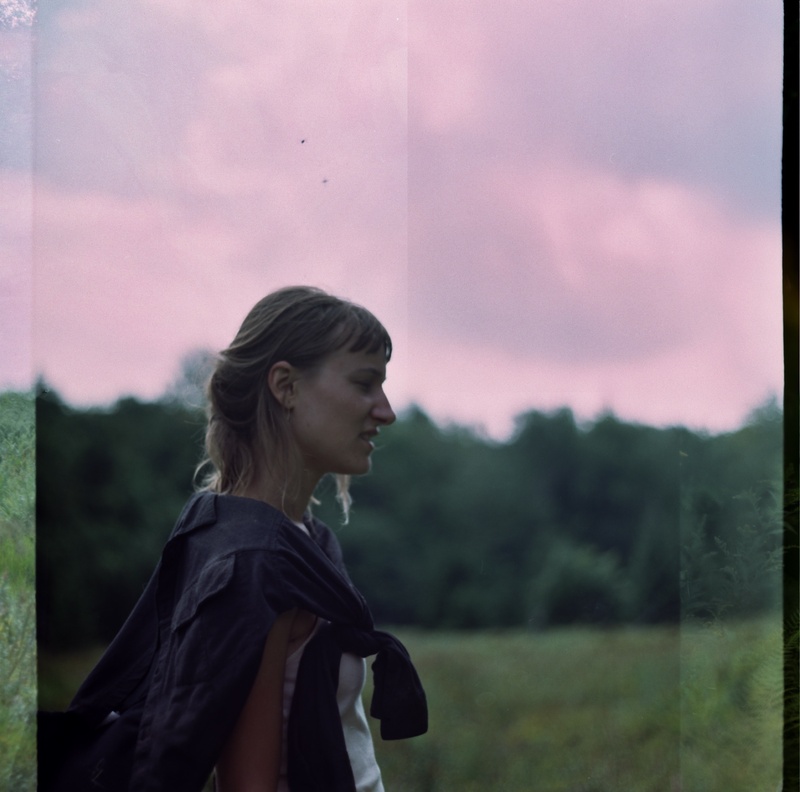 Two musicians who met in New York in 2008 and were married one year later, Danish multi-instrumentalist Louise Dam Eckardt Jensen and bassist Tom Blancarte have teamed up musically as The Home of Easy Credit, releasing their self-titled debut album on Northern Spy in 2012. Taking their name from a department store sign in a dilapidated section of downtown Houston, Texas which they photographed while on tour there, the duo seeks to hold up a mirror to contemporary musical tastes to create a dark, beautiful and thrilling sound world that reflects upon the decline of contemporary civilization. Recently gaining notoriety for her improvised solo performances, Jensen uses a broad range of colors, drawn from a long lineage of Scandinavian artists including Jan Garbarek, Arve Henriksen and Björk but blended with saxophone sounds as diverse as Lee Konitz or Mats Gustafsson. 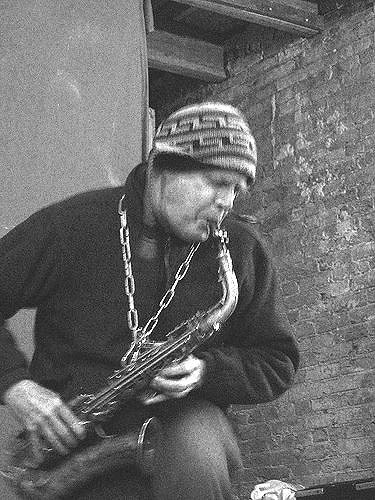 An experienced veteran of the New York DIY music scene, Blancarte, who plays electronic futuristic jazz with the Peter Evans Quintet, hyperactive prog banjo/guitar shred with Seabrook Power Plant and provides hellish bass insanity to tubist Dan Peck’s improvised doom metal outfit The Gate, utilizes every trick in his book to underpin his wife’s apocalyptic musical narratives. The year 2012 promises to be an exciting year for the duo, as they plan an epic tour of North America in the fall and two tours of Europe in the spring and summer. 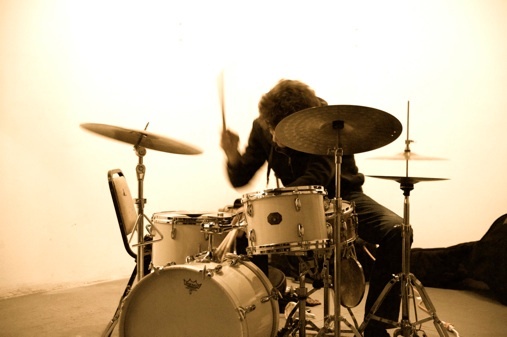 Austin Vaughn is a drummer and percussionist living in Brooklyn, NY. He is a graduate of the Oberlin Conservatory, where he double-majored in percussion and jazz studies under mentors representing a variety of disciplines, including Michael Rosen, Billy Hart, Paul Samuels, and Jamey Haddad. Before Oberlin, Austin was a high school student at the University of North Carolina School of the Arts, where he studied under John R. Beck. 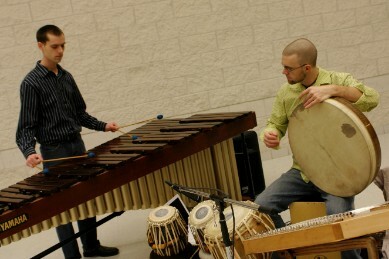 Austin was invited to appear as a soloist at the 2008 Percussive Arts Society International Convention (PASIC) for a symposium on African influences in contemporary percussion, and appeared at the 2009 Society for Electro-Acoustic Music in the United States (SEAMUS) convention as a member of Oberlin’s renowned Contemporary Music Ensemble. 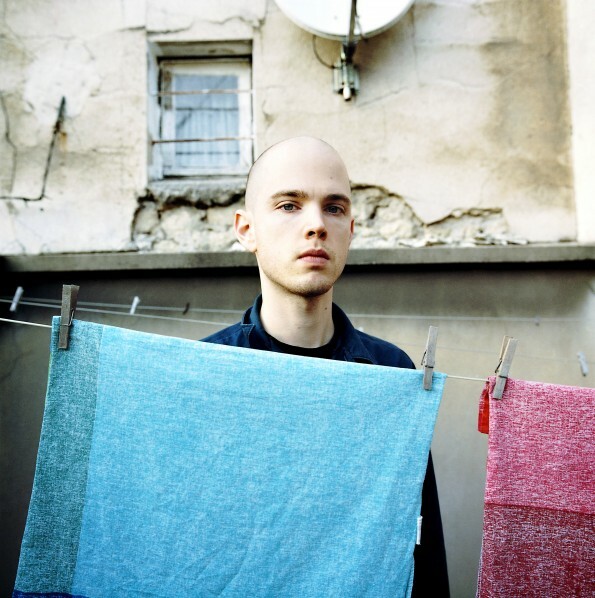 Navigating the paths between genre-based musics, improvisation, and notated music with an ear for detail, Austin has worked and performed with a wide range of artists, including Jandek, Aaron Dilloway, Robert Turman, Peter Blasser, Becca Stevens, Tristan Perich, Rafiq Bhatia, and Alexander Overington. 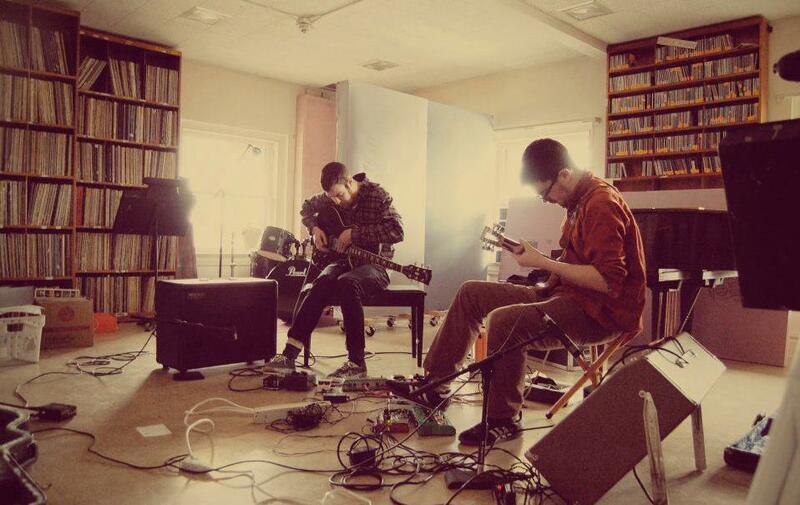 Nagual is a musical duo formed in Oberlin, OH in 2010. It consists of David Shapiro (Guitar, Loops) & Ian McColm (Guitar, Voice, Loops). 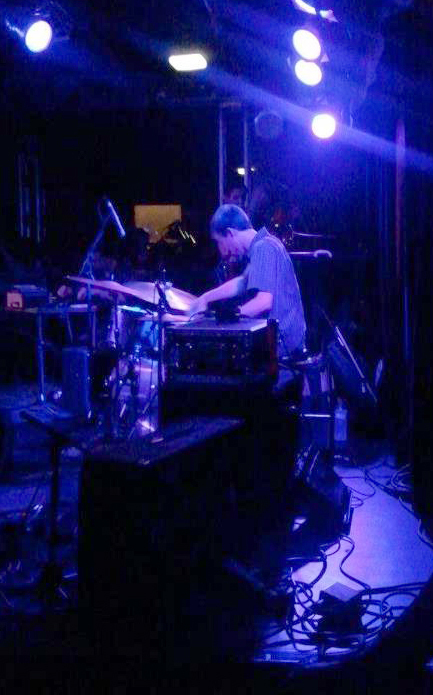 Matt Weston plays percussion and electronics, and has performed throughout the US and in Europe. He has appeared on CNN, VH1, and CBS TV.He has studied and/or collaborated with Arthur Brooks, Bill Dixon, Kevin Drumm, Paul Flaherty, Charles Gayle, Milford Graves, Mary Halvorson, Le Quan Ninh, Bob Marsh, Ben Miller (ex-Destroy All Monsters), Roger Miller (Mission of Burma), Jim O’Rourke, William Parker, Ken Vandermark, Jack Wright, and many others. His work has earned critical praise from such publications as the Wire, the Village Voice, Signal To Noise, Cadence, All About Jazz, Grooves, and Bananafish. His solo works have garnered international acclaim, as have his recordings with Barn Owl, Tizzy, and Thrillpillow. He has recorded for the Tautology, Sachimay, Breaking World Records, Imvated, Crank Satori, BoxMedia, and Drag City labels. He currently records for his own 7272Music label. 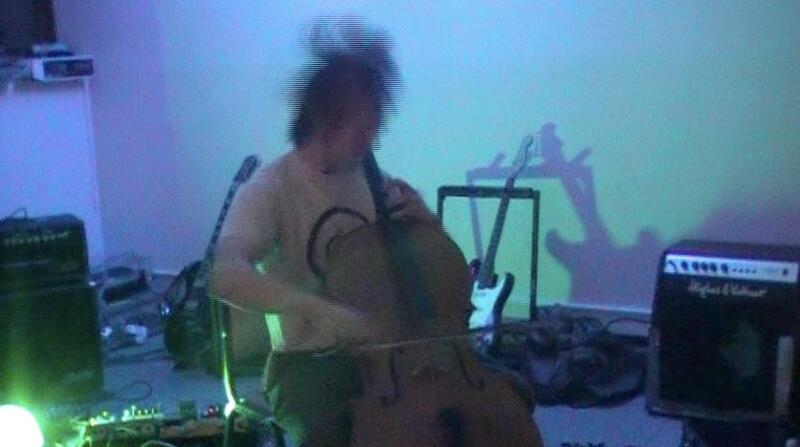 In addition to his solo work, Weston is a member of Barn Owl with Chris Cooper (Fat Worm Of Error) and Andy Crespo; and is a member of Thrillpillow with Plum Crane and Maggie Nowinski. 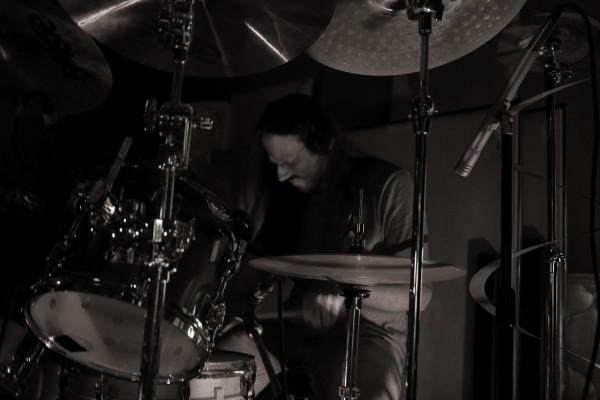 For several year, Toledo’s own Erik Montgomery’s has been coaxing sounds from the strangest items and materials under the moniker Dr. Rhomboid Goatcabin. Montgomery’s sound performances have been executed with both slight of hand as well as yielding a sledgehammer with an intense routine of broadcasting a mirage his found objects in and out of the audio spectrum. 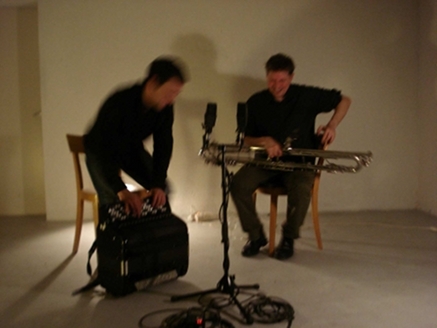 Chris Heenan (Berlin) and Jonas Kocher (Biel/Bien) work with the unlikely pairing of contrabass clarinet and accordion using improvisation to create worlds of changing depth and mood that both expand upon and fixate on particular sonic zones while simultaneously belying the instrumentation of the duo. Sudden shifts in texture and tempo become to areas of quiet and stasis, a reprieve from constant movement that gives way to a burst of loud focused activity. Accordion player and composer born in 1977 (CH), Jonas Kocher studied a.o. with Teodoro Anzellotti, Pierre Sublet and Georges Aperghis. He collaborates regularly as an accordionist in improvised and conceptual contexts with musicians such Michel Doneda, Christian Wolfarth, Olivier Toulemonde, Alfredo Costa Monteiro, Luca Venitucci, Duo Diatribes, Jacques Demierre, Christian Kesten, Gaudenz Badrutt, Chris Heenan… Jonas Kocher’s work explores the relationships between tone, noise and silence and the processes of listening. As composer he realizes projects that are situated between composed theater, installation and concert pieces. His compositions has been played at Biennale Bern 2010, Theater Basel, Zentrum Paul Klee, Festival Encuentros Buenos Aires, Umlaut Festival Berlin, Centre Dürrenmatt Neuchâtel, Festival Concentus Moravie, Zagreb Biennale. He composes also for hörspiel, dance and theater. Jonas Kocher is also involved as an organizer of different events in Switzerland and runs the label flexion records. 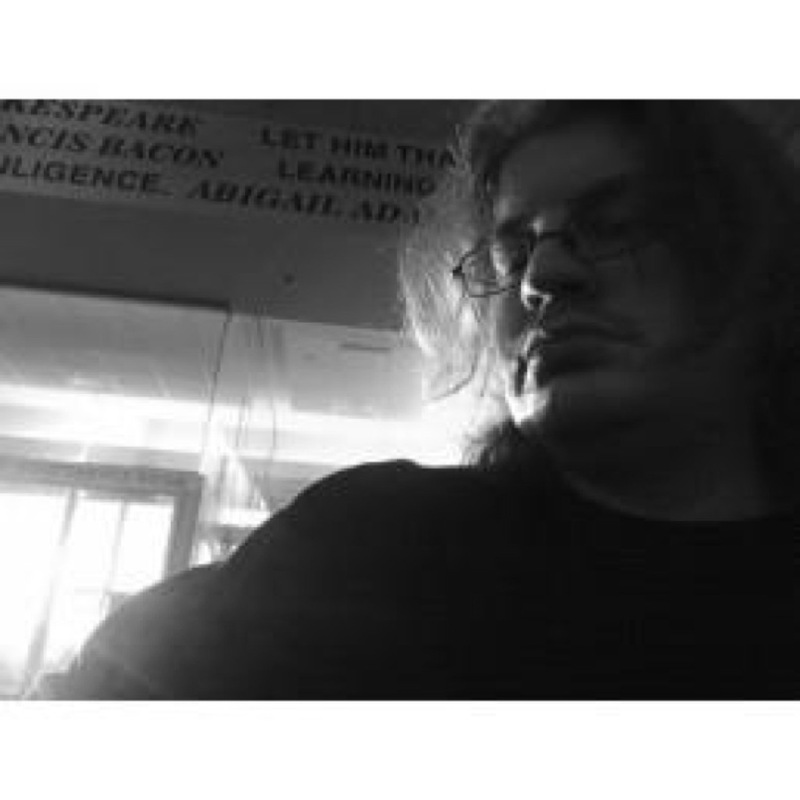 Chris Heenan (Washington D.C., 1969) lives in Berlin and is an active composer/ performer and organizer of experimental music. 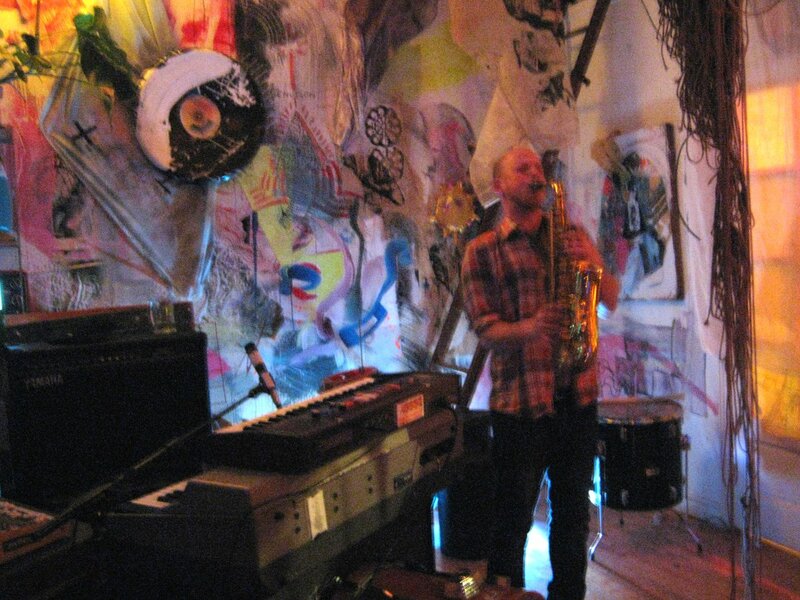 He performs on alto saxophone, contrabass clarinet, and analog synthesizer in contexts ranging from solo to large groups and in various ongoing projects. 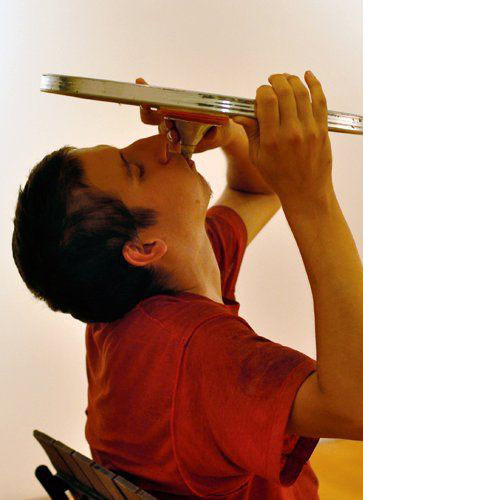 He uses these instruments to investigate new musical forms, noise, and improvisation both in his solo work and in collaboration with composers and performers such as actors, musicians, dancers, and visual artists. Heenan has developed a formidable solo voice on his wind instruments, particularly with the contrabass clarinet where he uses extended techniques, often incorporating multiphonics with surprising results, to reveal the subtleties inherent to the instrument. Heenan’s regular projects include Nordzucker (with Michael Maierhof, Birgit Ulher, and Lars Scherzberg), PIVOT (with Liz Allbee), Trigger (with Matthias Müller and Nils Ostendorf), Team Up (a trio with Jeremy Drake and a revolving third member percussionist), Phantom Limb and Bison (with Chris Forsyth, Jaime Fennelly, and Shawn Hansen), a duo with zitherist Dimitra Lazaridou Chatzigoga and a contrabass clarinet and percussion duo with Michael Vorfeld. Chives represents the collective musical output of bassist Matthew Wohl, multi-reedist Steven Lugerner and drummer Max Jaffe. Their music is a continuation of the jazz trio continuum – yet Chives’ repertoire is heavily influenced by the world of songwriting. Their third recording, Dads, will be released on Primary Records in August 2012. Chives is not only a platform for fluid improvisation and composition but a story of common experiences, aesthetic intentions, and beginnings. Born between 1987 & ’88,Chives each have Jewish roots from their fathers with Australian (Wohl), Mexican (Lugerner) & Korean (Jaffe) roots from their mothers. They grew up together in Burlingame, California surrounded by peers and teachers that nourished their musical sensibilities. They have collaborated together in various settings since middle school for a total of thirteen years – more than half their lives. After recording their debut self-released album Arnold, Chives collectively relocated to Brooklyn, NY. During their first two years in New York, Chives produced and released For Brian Wilson released by the Primary Records label. For Brian Wilson is a dedication to the San Francisco Giants, specifically their closing pitcher Brian Wilson. Dads is another dedication, this time to the men who introduced them to the beautiful game of baseball; Steve Wohl, Jeffrey Lugerner & Mark Jaffe. In support of Dads, Chives will be embarking on a two-week Northeast/Midwest tour in August 2012. Kevin Greenspon is a musician from Los Angeles, CA that blends ambient, electronic, drone, field recording and harsh noise composition into short songs that can be likened to miniature film scores. Primarily using guitar, effects and tape collage techniques, each song is an emotionally engaging arrangement of melodies and electronics fueled by a storytelling nature. 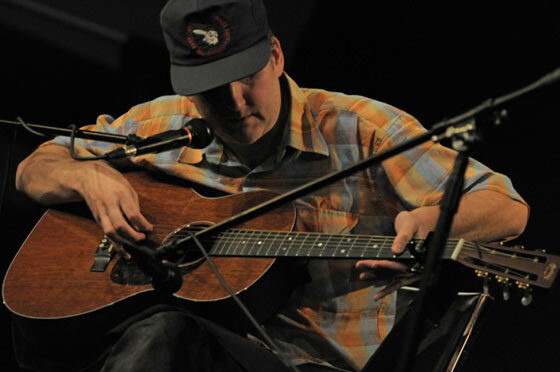 Restraint and subtlety are key elements in Greenspon’s work, carefully balancing between sparse quietude and dense layering of orchestral melodies and crackling textures as fingerpicked guitar notes seemingly swell in from reverse, weaving a constantly shifting atmosphere with deliberation and focus, never losing control of the space as a medium for channeling sound into song. Extensive touring history includes hundreds of performances at galleries and universities such as the Berkeley Art Museum as well as unconventional spaces ranging from meat lockers, buses, factories, clothing stores and countless houses and DIY art spaces across the country. Past performances include shows with bands such as Growing, Future Islands, Former Ghosts, Lucky Dragons, Eric Copeland (of Black Dice), Dan Deacon, Cloud Nothings, Daniel Francis Doyle, Lee Noble, Pulse Emitter, Pedestrian Deposit, Sean McCann and many more. Sophia Nevada plays improvised music(s) with sound-producing machines and traditional Western instruments. They have a history of playing loudly, focusing on force, space, momentum, and stasis in equal or opposing parts, depending on the setting or mood. 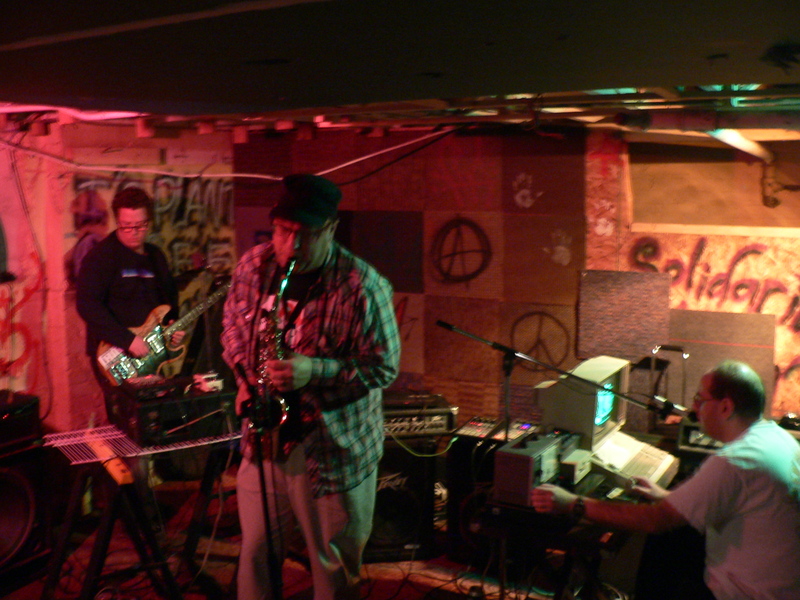 Although often compared to old school industrial and power electronic acts, the group also frequently features saxophone as well as avant-garde hip-hop sampling and sound techniques and is willing to use anything and everything to accomplish their sonic and performance goals. Bryan Eubanks (b. 1977, WA.) is a musician focused on collaborative improvisation, solo musical projects, and generative sound installations. Primarily active within the traditions of experimental and live electronic music, he works with unstable instruments of his own design that incorporate open-circuits, samplers, radio transmission, feedback, digital synthesis, the soprano saxophone, and other acoustic instruments. 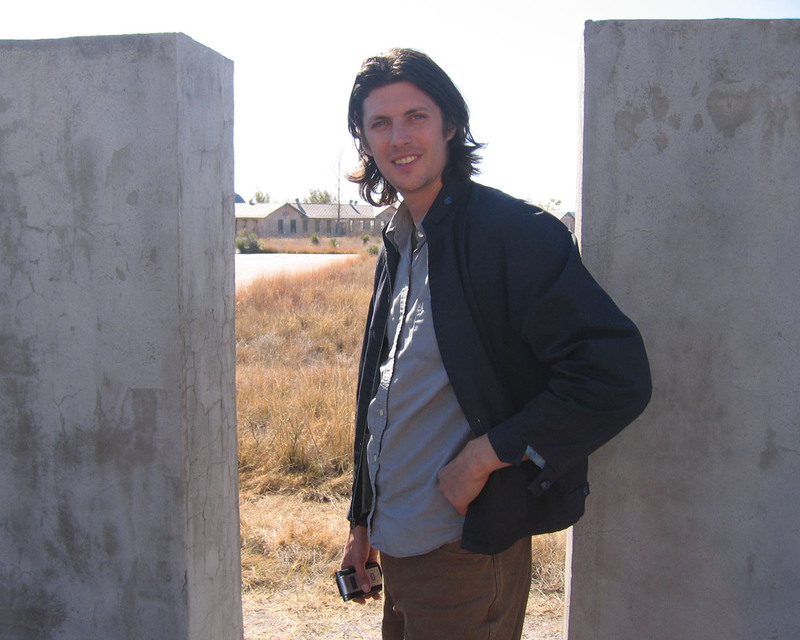 His compositions and installations involve practical research into computer music, generative composition, electronics, and sound localization in an effort to bring into being situations that examine transformations in the perception of sonic space/time. Catherine Lamb (b. 1982, Olympia, WA.) 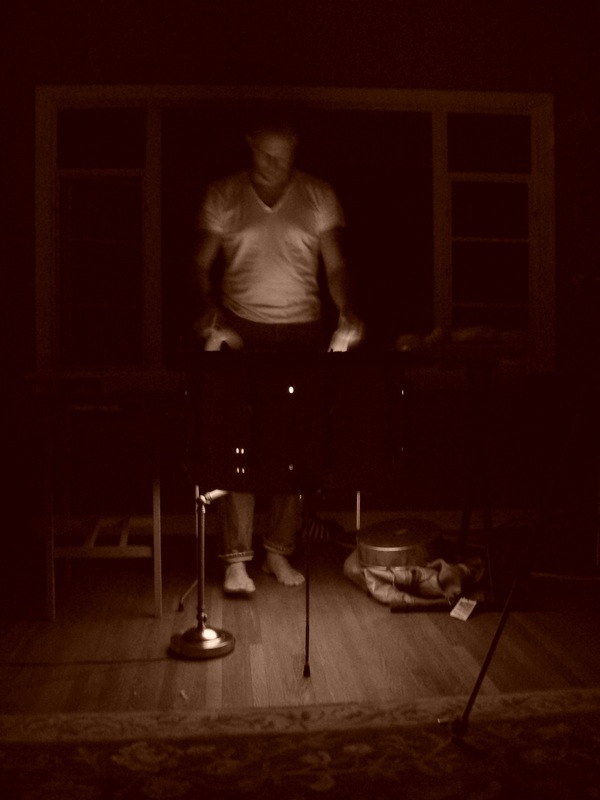 is a composer/violist exploring sound through intimate ensembles and solo work. She is interested in microscopic color variances in (mostly) narrow bands, often with an ever-opening form. She is interested in the elemental/spectral interaction between tones and their shadows, between beings. She works with the phenomenological dimensions of quiet perceptual/sensual layers moving in and out of presence, as a being moving in space. 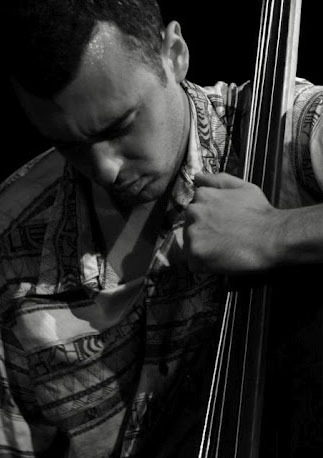 T.J. Borden is a cellist from Buffalo, NY. He performs frequently in the Northeast as a classical musician and improviser and has performed multiple times in Russia and Italy as well. Recently, he has been found deconstructing his classical training until fragmented and broken and attempting to create sound worlds that resist cohesion. 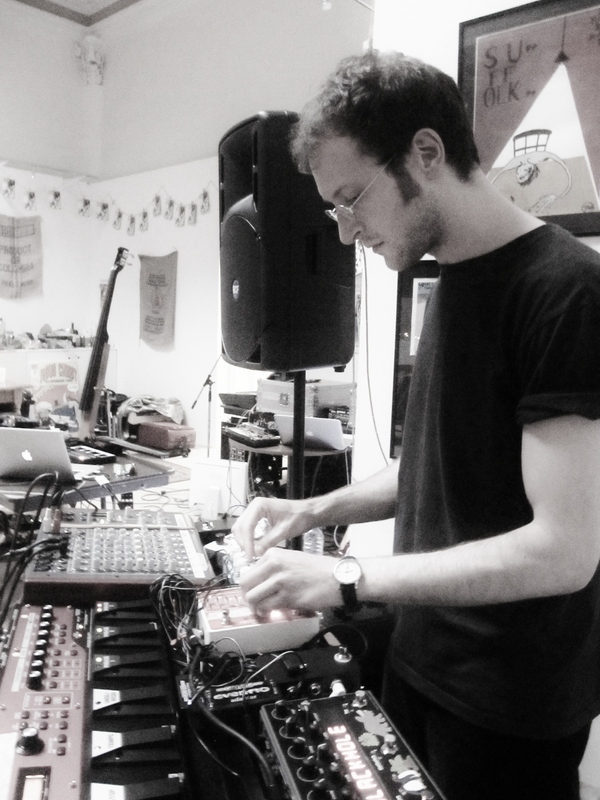 Ypsmael is the performing, recording and mixed media project of Cambridge-based German experimental/ambient bricoleur N. Ismael M.
Recent work revolves around in situ accidentalist composition, using effects-treated vocal layering, field recordings and the use of live instruments (e.g. baritone guitar, bass, piano, melodica, glockenspiel). 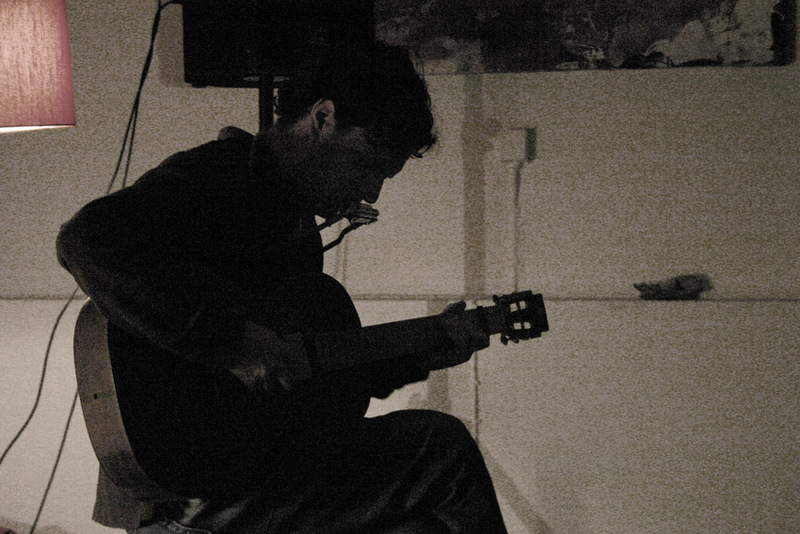 Recordings are usually made in one take; live performances are usually free improvisation. 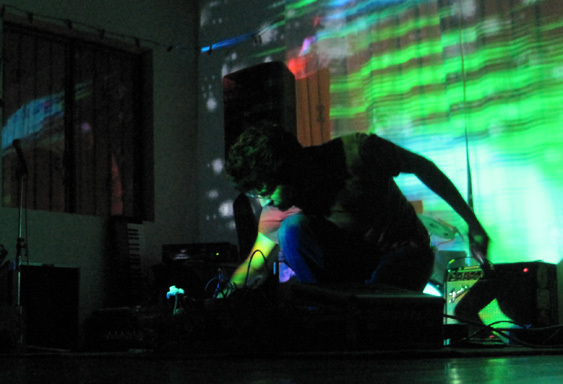 Since his first live appearance in 2010, Ypsmael has performed alongside Pimmon, Mountains, John Chantler, BJ Nilsen, Simon Scott (ex-Slowdive) and Dieter Moebius (ex-Harmonia and Cluster), among others. MATADOR fringes on the avant-garde and contemporary classical while also encapsulating the feel and passion of swing music. Consisting of multi-woodwind instrumentalist Michael Sachs from Los Angeles, drummer Jun Young Song from Seoul, Korea, and bassist Aaron Darrell from Virginia, MATADOR was formed through a commonality in past and interests. All three met at their undergraduate alma mater, Berklee College of Music; Michael on full scholarship and both Jun and Aaron World Scholarship recipients. While there, the three collectively studied with Terri Lynne Carrington, Greg Osby, Joe Lovano, Shannon LeClaire, John Lockwood, Drew Gress, George Garzone, Jamey Haddad, and Hal Crook. 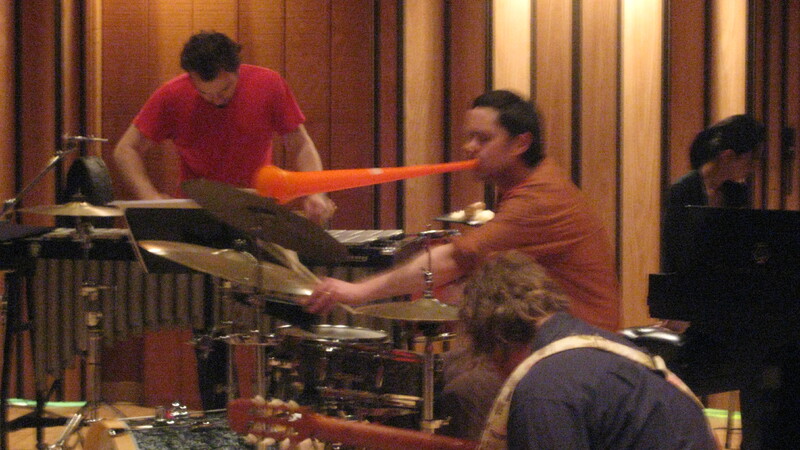 After being kept busy by their own individual pursuits, around Boston, the three began playing sessions which quickly became rehearsals, acutely honing a unique vision that is fully realized in live performance. 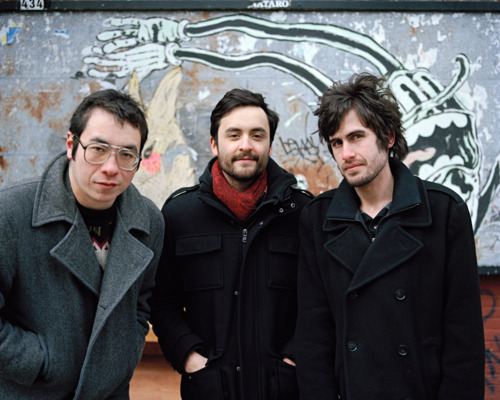 Matador plays the second sunday of every month at the Outpost in Cambridge, Massachusetts and tours regularly in the US and Canada. Peter J Woods is a musician, playwright and performance artist from Milwaukee, WI. Up until a few years ago, these three areas were kept isolated, performing music under a number of different monikers and with a handful of different bands (Phoned Nil Trio, xALLxFORxTHISx, Raperies (Like Draperies), Coelacanth, Peter J Woods Free Jazz Ensemble, just to name a few), writing short absurdists pieces for a number of different theatre companies (Insurgent Theatre, Pink Banana, Alamo Basement), and doing random bits of street theatre and more structure performance pieces on the side. 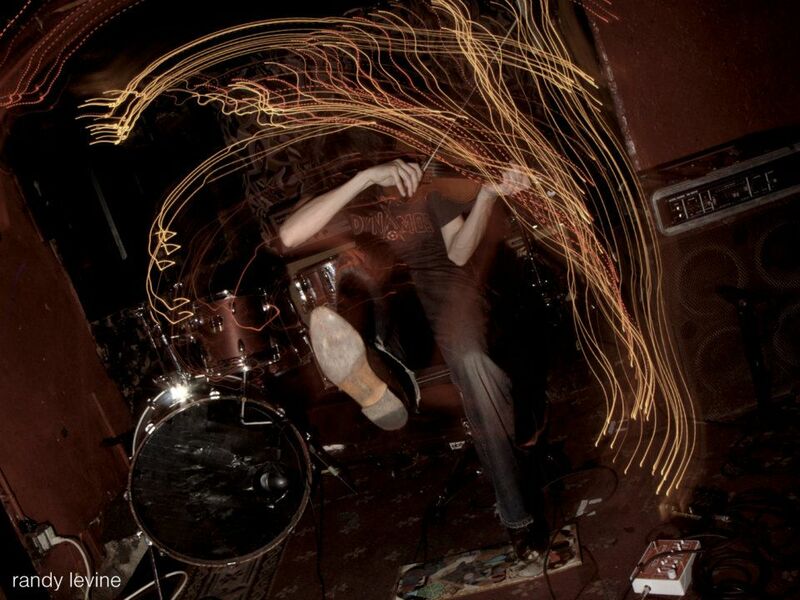 On top of all of this, he has spent the past eight years promoting DIY experimental arts in Milwaukee under the FTAM productions banner, releasing music from fellow noise musicians and hosting shows across town, including the annual Milwaukee Noise Fest. For the performances on this tour, Woods will be blending the three areas of expertise previously mentioned, presenting works that sound like harsh noise pieces but look and feel like dark absurdist theatre (think Beckett at full volume). Harsh static blasts and long stretches of silence mix with jarring synth tones to create an unsettling atmosphere while spoken texts give that atmosphere a context rooted within a collective unconscious. 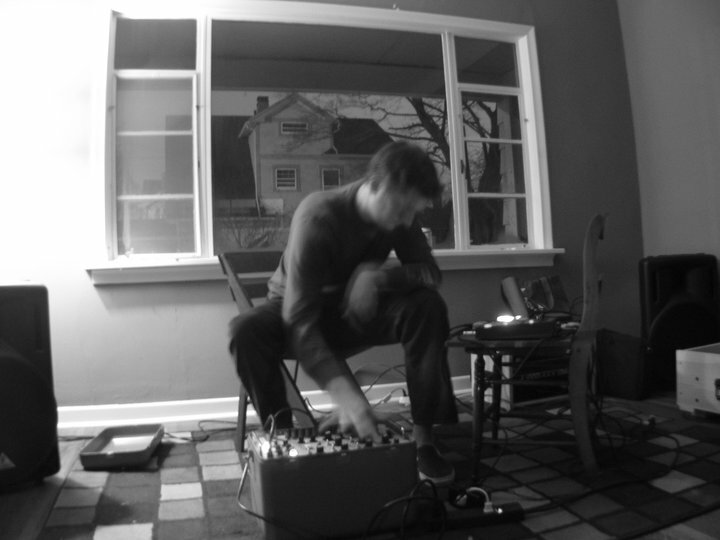 Neil Gravander has been making tape music as Lucky Bone since 2006. His early sets consisted of a table full of various cassette, reel to reel, and 8 track tape players, each playing manipulated field recordings or looped samples. These days he has a much simpler approach to his music, rarely using more than two tape players, playing back improvised arrangements of sound and “looping” them by simply pushing the rewind button. In 2010 he joined forces with fellow weirdos Peter J. Woods and Dan Schierl (Dan of Earth) to form Phoned Nil Trio, which is 3 x weird. He was also awarded the Mary L. Nohl Fellowship for visual art. 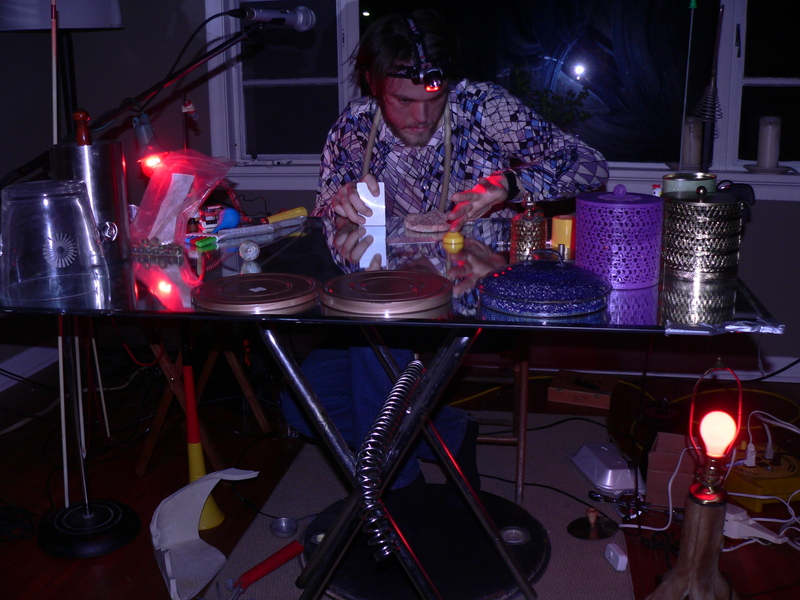 Under the fellowship, he created a number of video instruments, one of which he will often play live–the Hand-Spun Video Springer, a VCR one plays by spinning the tape reels by hand, creating very unique and bizarre audio and video effects. It is named after the audio-tape player made by the Springer corporation in the 1950′s, without which the VCR may not have been created. One of our foremost instrumentalists and a true hidden American treasure, Ralph White has taken the back roads in his inspired pursuit of the ancient roots of music. The “folk/noise/avant-whatever genius” (Joe Gross, Austin Statesman) has made many strange travels as an itinerant musician and laborer. Thus his intimate, nuanced musical language has slowly revealed itself, along a path that meanders from the apple orchards of British Columbia to the villages of Zimbabwe and Namibia, from the lonesome moors of Ireland to Australia, Brittany, Peru, Louisiana and beyond. There is also the influence of White’s hometown of Austin, Texas, a rich musical crossroads in and of itself. Along with Danny Barnes and Mark Rubin, White completed the original and definitive lineup of country/bluegrass mavericks (and recent Texas Music Hall of Fame inductees) The Bad Livers. He now performs his singular blend of ancient rural folk music and original songwriting as a soloist. Since touring extensively in North America and Europe, White has kept a prolific schedule of independent releases, “where borders are erased and music is the only language” (Insound). Most recently, his “Navasota River Devil Squirrel”, called “a fine navigation of the American mystery zone” (Volcanic Tongue) was reissued on vinyl LP by Mystra Records/Spirit of Orr. And in late 2009 the Resipiscent label issued his improv collaboration with San Francisco sound artist Hora Flora Sound System. New releases are scheduled for 2010, including a solo album with Austin indie Monofonus. White has also self-released limited edition works and is called on for various recording projects and film scores & appearances. Joshua Burkett has released 4 solo albums of ‘internal psychedelic meanderings’-on his own label, ‘Feather One’s Nest’. His “Gold Cosmos’ album getting the most attention as pre-dating(and some saying giving birth to) the “Free-Folk” movement with guests like Chris Corsano, Dredd Foole. MV, Six Organs of Admittance & others. He has a electronic-based live project (with Conrad Capistran from Sun-burned Hand) called ‘Tarp’& is also a visual artist. His newest album ‘Where’s My Hat’ was reissued by Time-Lag Records last year. Chances are you have never heard of Matthew De Gennaro’s music, although he has been making music for decades and performing with many better known artists than himself. De Gennaro’s music is about as honest and as warm as the man himself. Living in a 150 year old school house in rural Michigan and embracing nature in his remote location, and recording his music himself might offer a better understanding of old world tone and natural sounds De Gennaro is conveying. This performance will be purely acoustic along side with his 8mm films. NYC-based composer, violinist, and fiddler Joey Molinaro first gained attention as a member of the seven-piece experimental chamber-grind outfit “Basilica.” As an acoustic or electric solo artist, he conjures a torrent of riffs over a two-boot foot percussion flurry. The set includes seventeen Discordance-Axis-inspired songs and several new pieces with vocals. 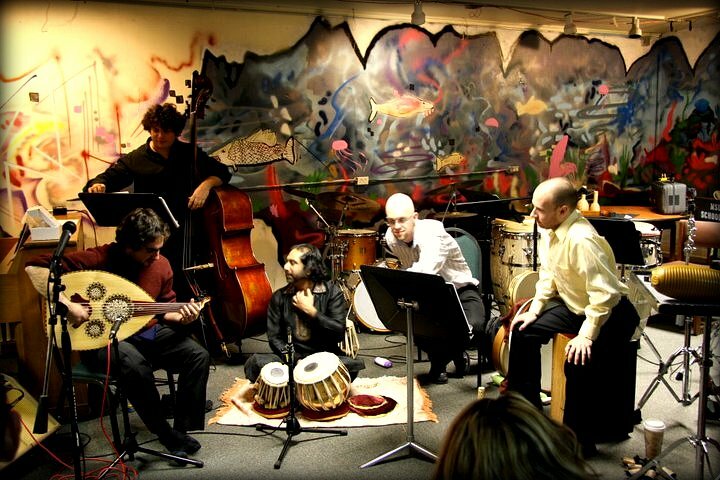 Wisaal, an Arabic-influenced world music ensemble based in East Lansing, Michigan, was formed in February 2010. Wisaal is an Arabic word meaning links, connections, or unities. This reflects our attempt to present high-quality concert and educational presentations of music that fuse elements of the Arabic musical heritage with Klezmer (Jewish dance music), Classical Indian, and American influences while respecting the spirit of these musics. Wisaal’s repertoire consists of Classical Arabic instrumental pieces, contemporary fusion pieces, and our compositions. Classical Arabic instrumental pieces from the twentieth century become frameworks within which traditional Arabic forms and rhythmic patterns blend with Western harmonic backgrounds and rhythmically charged pop and world-music grooves. 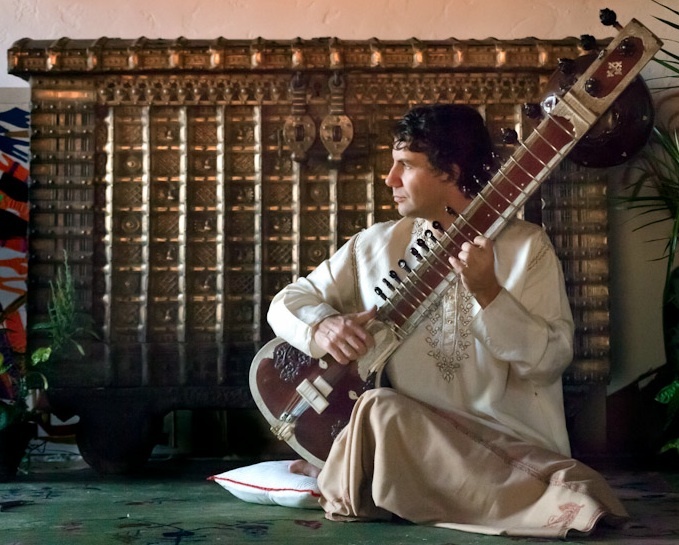 Arabic instruments – oud, percussion, and bass – are joined by Klezmer-influenced clarinet, American folk mandolin, and Indian tabla. Contemporary fusion pieces and original compositions combine these various influences and allow for extended improvisations that showcase the different improvisatory traditions represented in Wisaal. Wisaal has been active in creating projects and finding performing opportunities. In December 2011, Wisaal received the Excellence in Diversity Awards for “Excellence in Advancing Global Competency,” from Michigan State University. A feature about Wisaal was produced during summer 2011 and is available for viewing on Lansing Public Media. Wisaal has performed at various venues around Michigan, from Charlevoix to South Haven, Michigan State University’s Wharton Center Cobb Great Hall, to intimate settings in local coffee shops. Wisaal has performed in festivals and social functions in the Detroit area for the Arab-American community. The group has recently diversified its performance offerings by collaborating with a Lansing based dancer, Leilah. 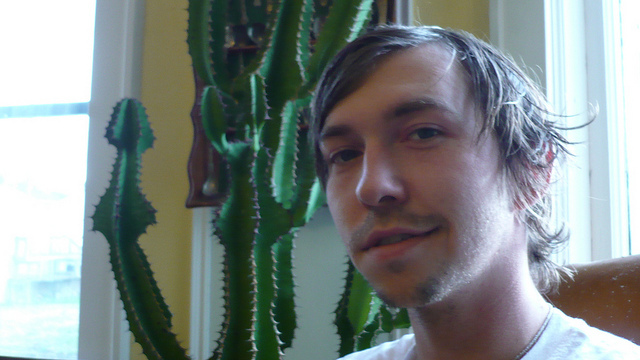 Wisaal released a short debut recording, “Mosaic” in 2011 and is working on its first feature cd to be released in 2012. Ghost Flute & Dice started as a subconscious urge to expand the pianos sonic capabilities. The intention was to make big walls of sound or empty moon landscapes, but at the same time be able to squeeze in a small melody and chordchanges. And it had to be possible to do it while playing. Thus the “Amplified Piano” came into being – an acoustic piano connected to a handful of effectpedals, just like guitarists have done for 50 years. Exploding briefcases of Cairo is a solo project of Brian Martinez of Toledo. EBOC sound’s hovers around the murky depths of rusted plumbing and atmospheric pressure maneuvered by the occasional broken rhythm. 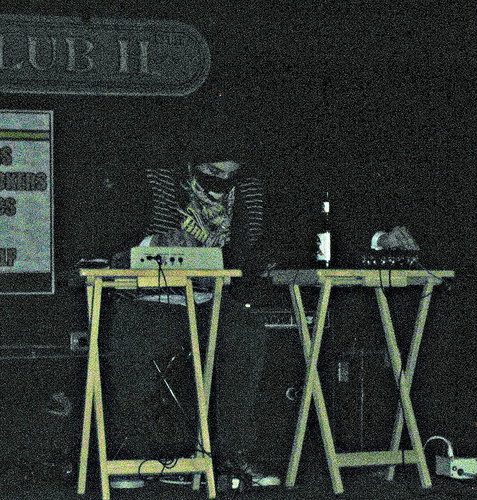 Martinez live mixing and use of samplers & effects could be mistaken for early musique concrete, but those guys didn’t rock the terrorist look or did they. Keir Neuringer composes & improvises acoustic & electronic music, writes socio-political performance texts & essays, & creates interdisciplinary artworks, all with the aim of bringing audiences into a state of emotional & intellectual curiosity that meets the conditions for meaningful dialogue with, & transformation of, the culture at large. Over the last 25 years he has cultivated a personal & intensely physical approach to solo saxophone improvisation that honors & builds upon diverse music-making traditions. He also plays analogue electronics & farfisa organ, & sings & narrates text. He has been an active participant in the experimental music scenes in Krakow, The Hague, and Amsterdam, and currently lives in Central New York. 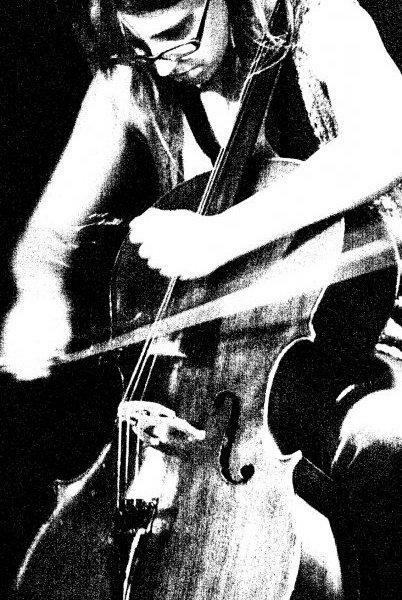 When not performing solo, Neuringer works with virtuoso bassist Rafal Mazur, experimental turntablist DJ Sniff, Dutch contemporary music group Ensemble Klang, & has performed with free improvisation legends Evan Parker & Mischa Mengelberg & electronic music pioneers Michel Waisvisz, Joel Ryan & Marek Choloniewski. He has released UNISON LINES (Not Two 2010) with Mazur as well as the cassette tape «Conquistadors» under his AFGHANISTAN project and two CDs under the moniker THE LOVE STORY. Deploying orbital pulsations, psychic notations, and abstract interactions, the imbalancing act coiled and flourished in both Polish Springs and the Half Chamber, two different rooms free from a view. The Polish Springs duo (Hampshire & Weaver) and trio of Philadelphia (Hampshire, Lipson, & Weaver) spent most of their time shocking their nerves and struggling to arrive at the Male Sub Way in a regional ditch that appeared after T. Davis issued God’s Orders. The Half Chamber trio of Savannah (Hampshire, Zagers, & Weaver) affectionately swung the moody lamplight to nourish the spirit muse of surreal harmony. Philosophical parallels and sonic pseudo-symmetry was not enough to permit the two trios to overlap in person. Currently, Femme Tops in it’s purest form of four is realized and operational. A dream come true for the boys. See you in the future. Percussionists hit things. Whether it is in Michigan or the Middle-East, India or Indiana, percussion is the art of hitting. For over a decade, Tim Mocny and Mike List have been students, performers, and educators of percussion. 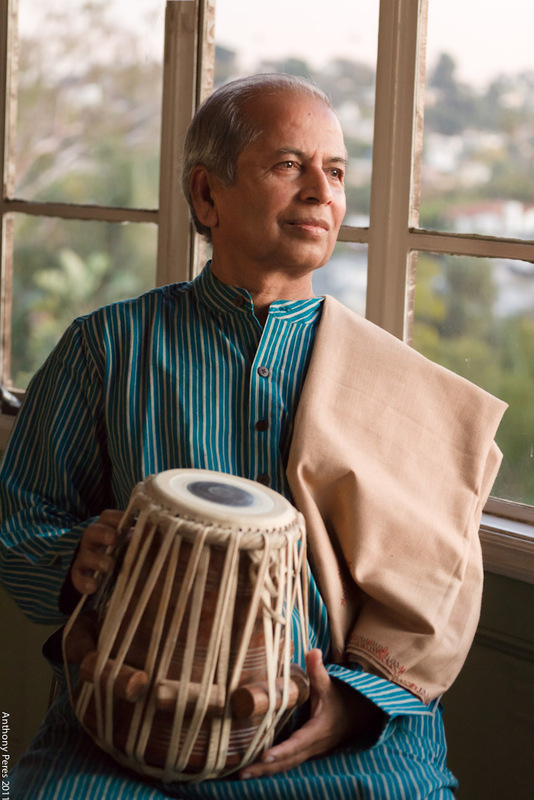 to hit reflects the influences of the globalized culture they live in, blending the sounds American Art and Pop music with the music of North India, the Middle-East, and Africa creating a palate of sonic colors that spans continents. Chris Corsano is a multi-faceted drummera list of his collaborations attests to this fact. He’s recorded and gigged with (among others) Paul Flaherty, Michael Flower, Björk, Jim O’Rourke, Thurston Moore, Joe McPhee, Evan Parker, Heather Leigh, Nels Cline, Jessica Rylan, Six Organs of Admittance, Sunburned Hand Of The Man, MV&EE, Keiji Haino and Christina Carter. 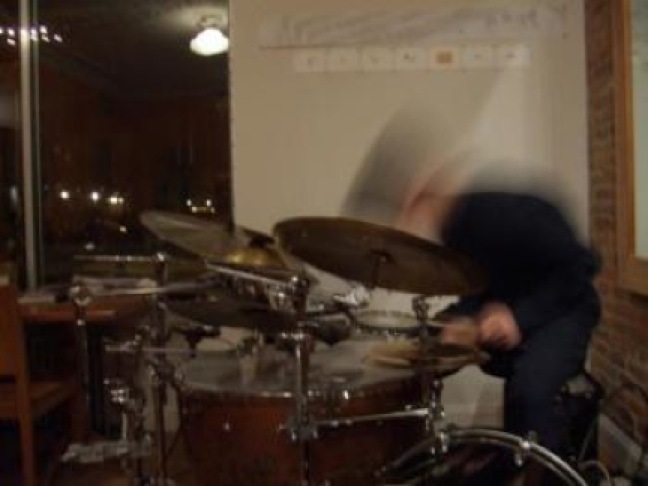 First spellbound by free improvised music in the mid ’90s after witnessing performances by TEST, William Parker, Cecil Taylor and others, Corsano began a long-standing high-energy partnership with Paul Flaherty in 1998. A move from western Massachusetts, USA to Manchester, England in 2005 and then Edinburgh, Scotland a year later shifted Corsano’s focus to developing an expanded solo percussion music of his own, incorporating sax reeds, violin strings and bows, pot lids, adhesive tape and other household devices into his drum kit. Since then he has moved back the USA and is an in-demand player. Mike Khoury was born in Mt. Pleasant, Michigan in 1969. As the son of visual artist Sari Khoury, he was exposed to various forms of visual arts, and creative musical forms. Growing up in a university town also availed Mike to various forms of art and music. Mike is Palestinian. 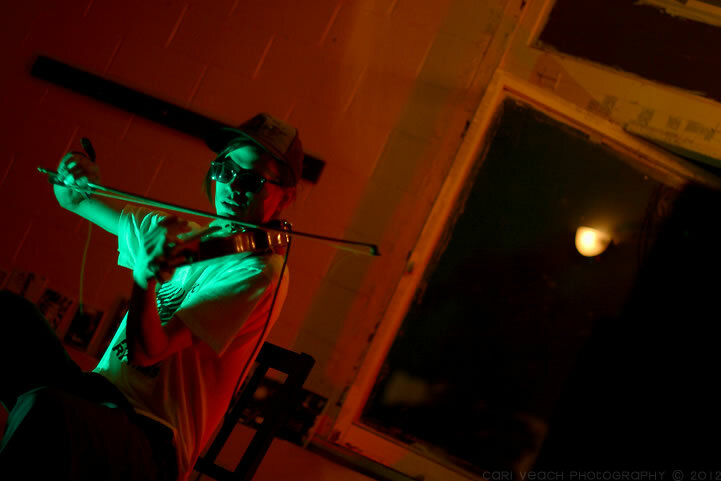 Mike began studying violin at the age of 10 and eventually came under the guidance of Juliard graduate Nancy Smith. Abandoning the violin for electric bass, Mike played in various rock combos and eventually settled with The Urban Farmers. 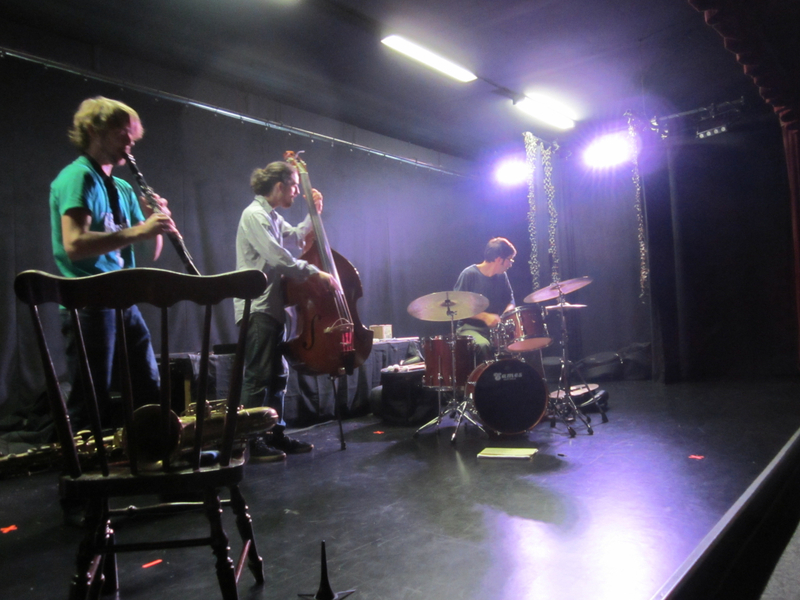 The Urban Farmers are a trio which combine ethnic music with elements of jazz and psychedelic rock. Consisting of Patrick Boyer on guitar, Jason Lewis on persussion and Mike on bass, they have enjoyed some sucess with the release of one CD, and various cuts on many compilations. 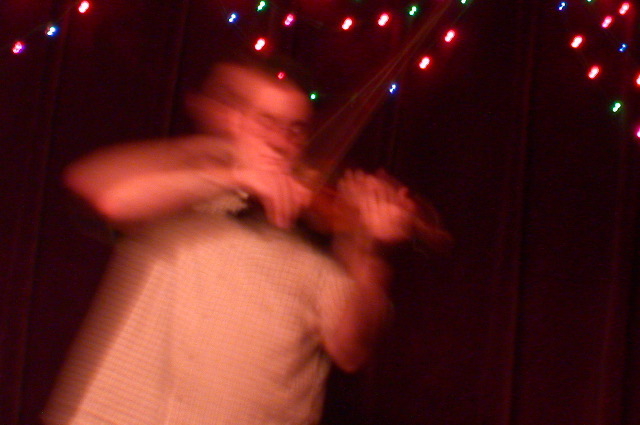 Mike went on to explore the possibilities of free and improvised music and resumed his studies of the violin. He furthered his involvement in the creative improvised realm with Jason Shearer (winds) and Ben Hall (percussion). Mike also played with Siege Machine, a larger ensemble including Ben Hall, John Olson, Jason Shearer, Mark Sawaski and Joel Peterson. Siege Machine balanced graphical score compositions with improvisation. The development of the improvisational duet has also consumed much of Khoury’s time and is a preferred format. Mike studies violin with composer/violinist David Litven. Mike continues to work on compositions and improvisations as well as operate Entropy Stereo Recordings, a free improvisation music label. Mike has had the good fortune to record and/or perform with John Sinclair, Maury Coles, Le Quan Ninh, Jack Wright, David Prentice, Dennis, Aaron, and Stefan Gonzalez, The Northwoods Improvisers, Faruq Z. Bey, Mike Carey, Luc Houtkamp, John Voigt, John Butcher, Gunda Gottschalk, Gino Robair, Fred Bergman, Hans Buetow, and Wolfgang Fuchs. 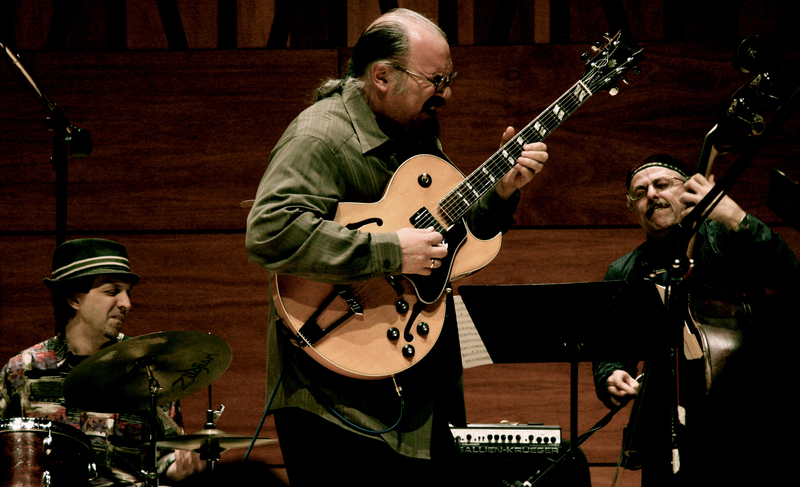 On Saturday, April 14th at 9:00 p.m., veteran jazz guitarist/composer Michael Musillami and his longstanding trio, featuring bassist Joe Fonda and drummer George Schuller, will celebrate their sixth Playscape Recordings release, Mettle, as well as their 10th anniversary as a working unit, at Robinwood Concert House in Toledo. Musillami’s career spans more than 25 years and includes extensive work as a performer, bandleader/composer and educator. In addition to his trio, which has performed across Europe and North America and released five other recordings since 2002, he has earned international acclaim as the leader of groups ranging from duo to octet. When not working with his own bands, he also teaches at The Hotchkiss School in Lakeville, Connecticut, and manages Playscape Recordings, the highly regarded independent label he founded in 1999. Josh Beatty holds a Bachelor of Musical Arts degree from Pacific Lutheran University in Tacoma, WA where he studied saxophone performance and composition. He has also studied with Bert Wilson and Ken Vandermark. 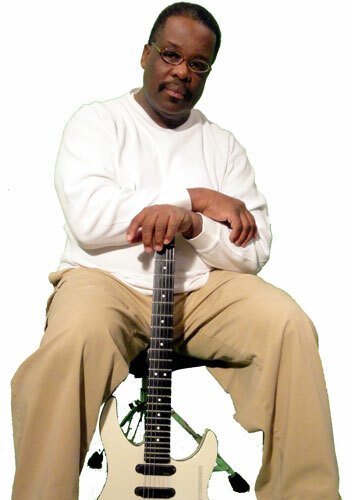 Josh moved to Chicago in 1999 and has played a variety of different styles of music including jazz, rock, soul, R&B, improvised and experimental music. He has recorded with Beatty/Poretti, The Flabby Hoffman Trio, Microcosmic Sound Orchestra, The Soul Papas and Undertow. Undertow’s latest album, The Elmhurst Sessions, was featured as part of the soundtrack for the movie Jesus Fish. 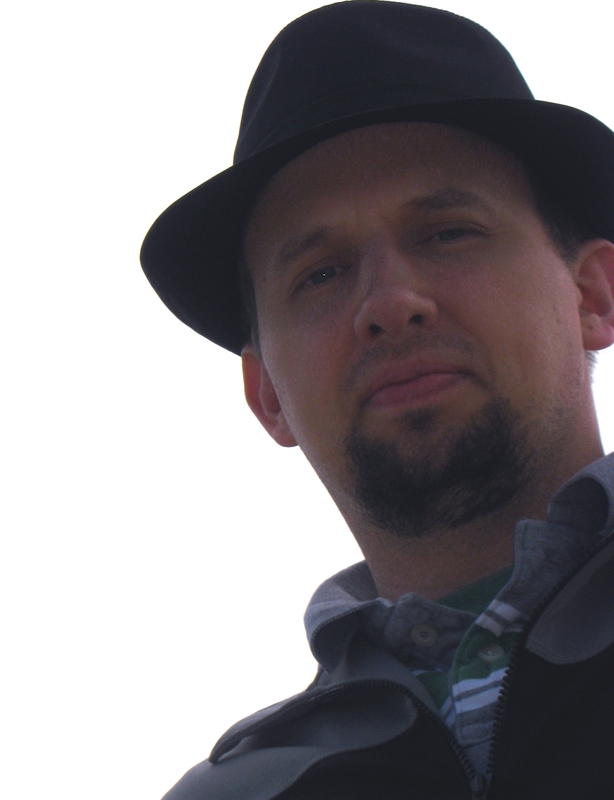 Currently, Josh is focused on improvised music and is active in Chicago’s rich creative music scene. Mamta Upadhyaya: Mamta has studied dance with her mother, Bina Upadhyaya, among other teachers, for many years. She has performed throughout South Asia, Europe, and California. 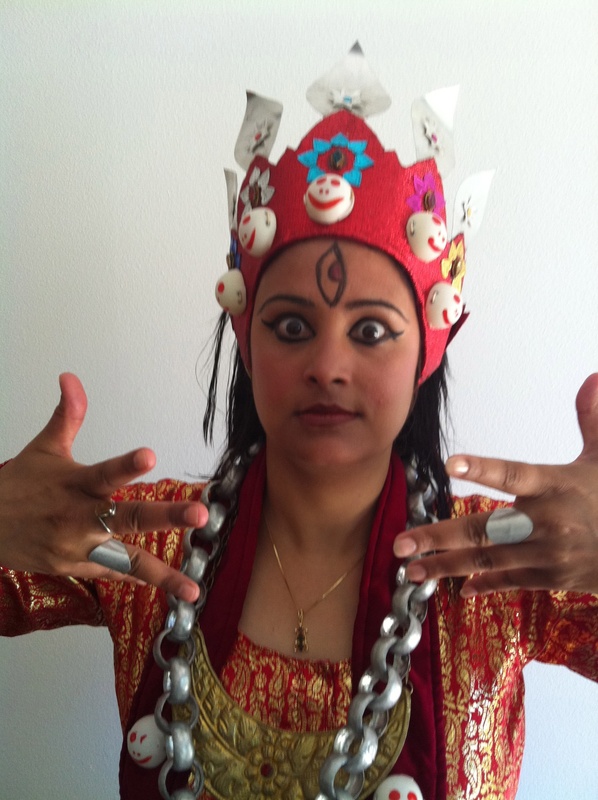 Among her specialties are styles of Nepali and Buddhist dance rarely seen in the West. Natura Morta is a trio for viola, bass, and drums dedicated to exploring musical structures and relationships through collective all-acoustic improvisation. 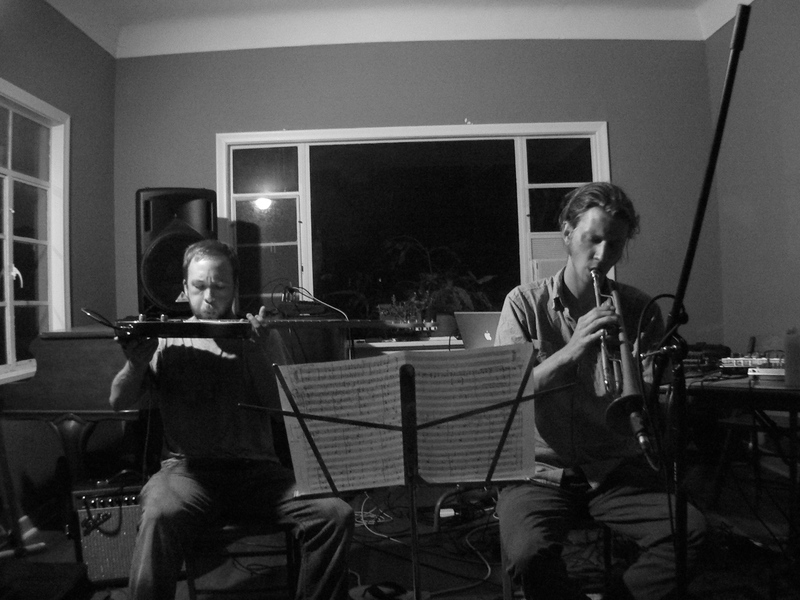 The Brooklyn-based ensemble creates acoustic sound-sculptures and sonic landscapes through the use of nontraditional techniques and instrumental preparations. The musical range of the trio stretches from heated silences to relentless drones to frantic hyperactivity. Natura Morta crafts a single sound into a stillness that gains density and momentum from an unwavering insistence upon non-development. It’s music is an experience that traumatizes as it soothes, cleanses as it soils, and wounds as it heals. 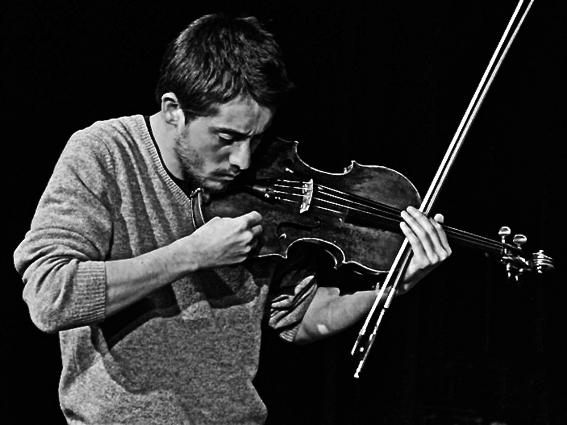 French-japanese violist Frantz Loriot performs solo as well as in various ensembles ranging from rock to contemporary music by way of improvisation and electronics. Besides Natura Morta his current projects include: Viola Two Viola – with Cyprien Busolini (viola), Bobun -with Hugues Vincent(cello), baloni – with Joachim Badenhorst(reeds)and Pascal Niggenkemper (doublebass), Speaking Tube -with Emilie Lesbros (voice)& Pascal Niggenkemper (doublebass), and a duo with Denman Maroney (hyperpiano). 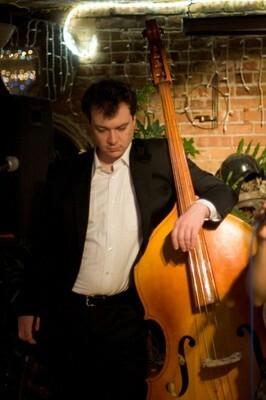 Bassist and composer Sean Ali from Dayton, Ohio has been living in New York City since 2003. Here he participates in the citys avant-garde and experimental music scene. Besides playing with Natura Morta he currently performs in a diverse group of ensembles, including Fester with David Grollman (percussion), LathanFlin&Ali with Lathan Hardy (sax) and Flin Van Hemmen (drums), Hag with Brad Henkel (trumpet) and David Grollman (percussion), PascAli with Pascal Niggenkemper (bass), the folk band Household Tales, the Mudbath Orchestra (a large ensemble), and occasionally performs solo. Italian-american drummer Carlo Costa, was born and grew up in Rome, Italy. For the past six years he has been living in New York City where he keeps busy as a leader and sideman in a variety of musical contexts. He currently leads or co-leads Minerva (w/ bassist Pascal Niggenkemper and pianist JP Schlegelmilch), Natura Morta (w/ bassist Sean Ali and violist Frantz Loriot), a trio with clarinetist/saxophonist Joachim Badenhorst and guitarist Todd Neufeld, Crepuscular Activity (w/ flutist Yukari), a duo with guitarist Ryan Ferreira, and the large ensemble Acustica. 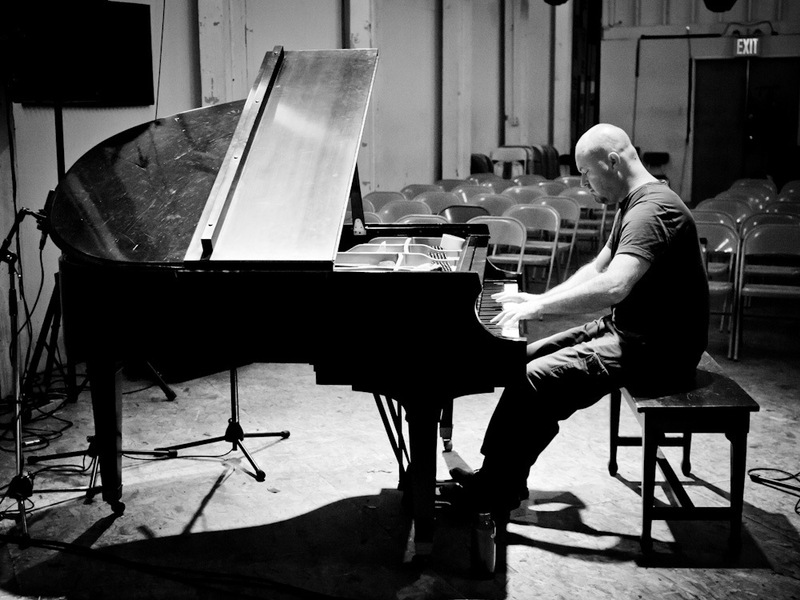 Thollem Mcdonas tours perpetually as a solo pianist, vocalist and collaborator regularly covering much of North America and Europe playing his unique brand of composed and spontaneous post-classical and hyphenated music. In the past 6 years, he has added 23 albums to his discography on 10 different vanguard record labels in 4 different countries. His musical experiences are extremely diverse and his ever expanding variety of approaches to making music result in dramatically new and different outcomes. He plays in punk clubs, museums, concert halls and riots. He works regularly with film makers, dancers, poets and painters as well as a wide array of divergent musicians. He has won numerous awards and is the founding director of Estamos Ensemble, a Mexican-American cross border ensemble for musical exchange. Not long after birth, Thollem began studying the keyboard repertoire from the medieval to the 20th century. After graduating with degrees in both piano performance and composition, he dedicated his time for years in grassroots political and ecological movements before returning to his own music with his full focus in 2006. He is currently touring perpetually as a soloist, in collaboration with many other individuals and groups, as well as leading large ensemble free improvisation workshops. Thollem performs in theaters, art galleries, universities, elementary schools, concert halls, jazz clubs, rock clubs, festivals, warehouses, house concerts, streets, forests, riots and on television, radio and the internet. He has performed piano concertos with symphonies, played in West African drumming troupes, Javanese gamelan ensembles, punk bands, free improv ensembles, and regularly collaborates as a coimproviser for film and modern dance. He participates in communities as he travels, collaborating with individuals and organizations, helping to connect artistic communities and artists. Everybody’s mother is somebody’s daughter, brother. Dig? 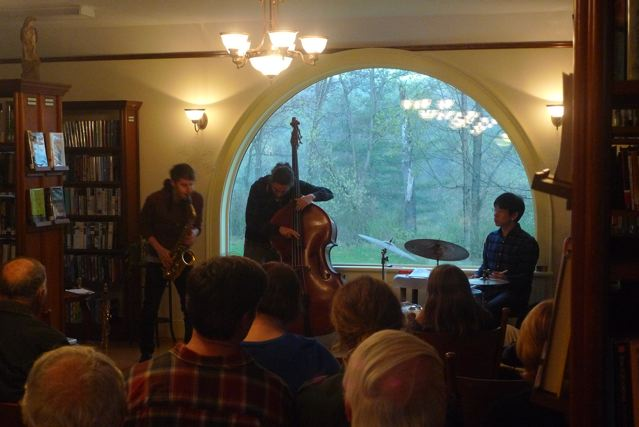 Sons Of Daughters features Berklee College of Music alums Devin Drobka and Aaron Darrell as well as New School for Jazz alum and John Coltrane Foundation scholarship winner Patrick Breiner. What began as a chordless jazz trio evolved into a three-headed improvising monster. Breiner, Darrell, and Drobka each contribute compositions ranging from wistful rubato ballades to reckless free jazz avalanches. They tour the East Coast and Midwest regularly and have played at the Eastside Jazz Fest (Milwaukee), the Jazz Estate, University of Wisconsin in Madison and in Whitewater, Furman University, An Die Musik (Baltimore), and the Institute of Contemporary Art (Boston). The members of this trio have performed with Greg Osby, Jerry Bergonzi, Joe Lovano, Billy Hart, Michael Formanek, Dave Ballou, Becca Stevens, Dave Stryker, Ches Smith, George Garzone and Tony Malaby among others. They tour the east coast and midwest regularly playing concerts and teaching clinics and master classes to students of all ages. They have collectively graced the stages of Dizzy’s Club Coca Cola, Skuller’s Jazz Club, Yoshi’s, the Kitano, Smalls Jazz Club, the JVC Jazz Festival, the Isthmus Jazz Festival, Milwaukee’s East Side Jazz Fest, and many other stages across the US and in Europe. The Black Swamp Underground is a collective of musicians active in the worlds of free improvisation, jazz, new music, composition, electro-acoustic music, and many other sonic areas. They have performed in the Black Swamp area (primarily Bowling Green and Toledo) since 2010. For this concert the Black Swamp Underground is comprised of: C.R. KASPRZYK (alto saxophone), JUNA WINSTON (trombone), YEN-LIN GOH (piano), CURTIS RUMRILL (guitar), and ROB WALLACE (percussion). 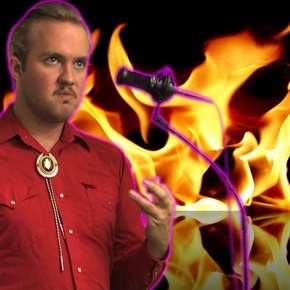 Ben Bennett is a totally legit musician based in Columbus, Ohio. He is continuously looking for ways to make the most varied and visceral array of sounds from the simplest instruments. His ongoing investigation of the drum set has led him to distill it to its essential sound-making apparatus – the vibrating membrane. 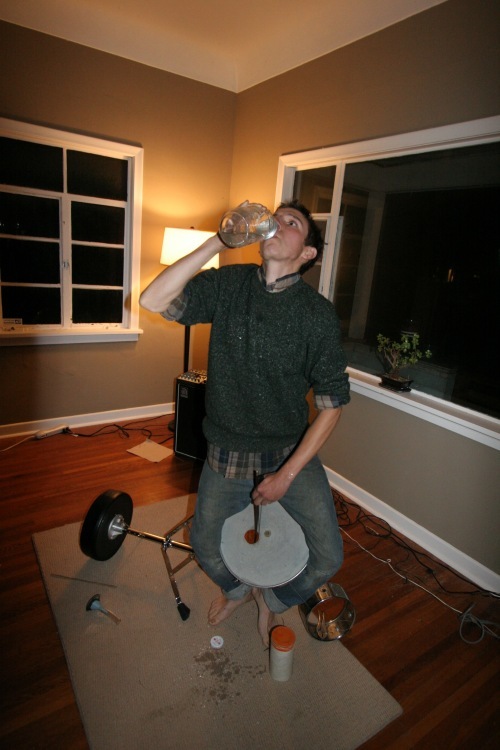 He plays an evolving pile of often home-made instruments, which includes tuned drum heads, frame-drums, rubber stretched across a hoop, rubber by itself, sheet metal, and wind instruments with reeds made from drum heads. All this stuff fits easily on his back or on his bike, and can get rained on, dragged along the ground, or tossed down the stairs with no worry. Unencumbered by expensive, delicate, or complicated gear and electronics, little if anything stands between the sounds heard and the bodily movement required to make them. 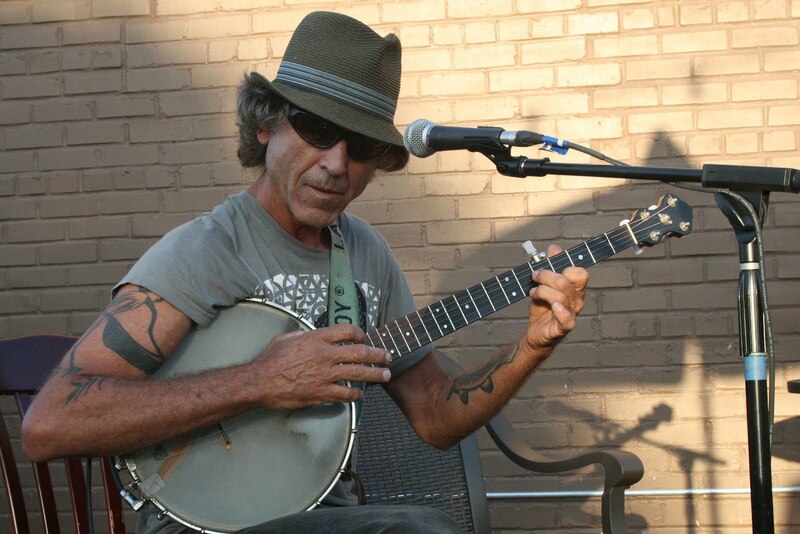 He has played sporadically with many musicians, but his most frequent and ongoing cohorts are Jack Wright, Ryan Jewell, Wilson Shook, and Jack Callahan. In addition to petrol-fueled tours, he and Callahan pedaled a nice loop around Massachusetts and Vermont on a 7-day bike tour, and once he biked all the way down to Cincinnati to play a gig. He played once in Canada and once in Japan. “international”. “transcontinental”. Some seemingly pretty smart people have called his sets “really great”, “transcendental”, “the best thing I’ve seen – maybe ever”, or as this one music conservatory student put it, “pretty entertaining stuff”. goLab is the musical alias of Toledo, Ohio’s Joel Roberts (founding member of synth-rock band Stylex). 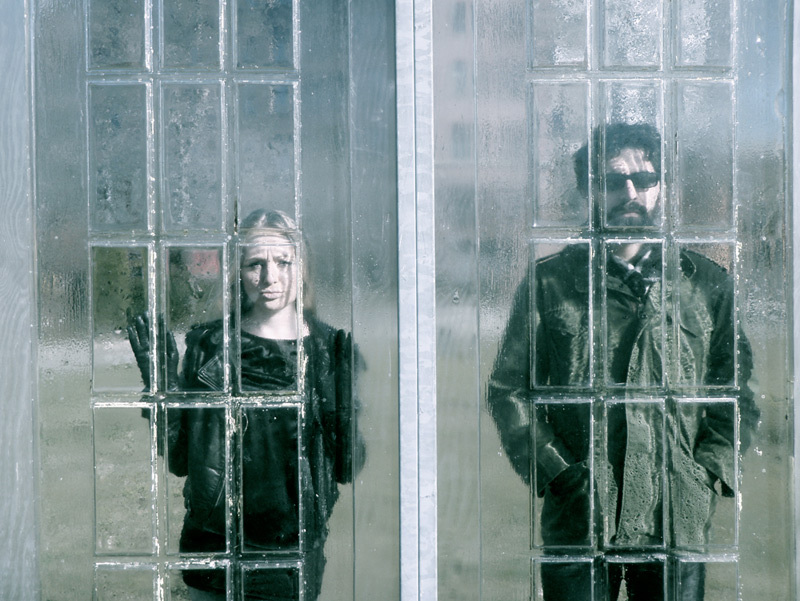 goLab’s music uses analog synthesizers, drum machines, theremin and GameBoy to create somewhat unconventional synth-pop. goLab began as 4-Track experimentation in 1996 with a single cassette tape intended to be used to record musical collaborations with friends. The tape was labelled ‘collab’ but was quickly filled with solo material instead. With the title on the cassette slightly altered, the goLab project was born. 2006 saw the release of Simplicity Banquet, the first official goLab album. This album notably featured music composed and performed exclusively on a GameBoy on all the even-numbered tracks. goLab released Strangle Holds in 2009, which sounds more like the live show he’s developed, as many of the songs now include live drums, vocoder and theremin. This style was developed and expanded upon for the 2011 album Day Dream. In December of 2011, goLab released a project which had begun ten years earlier. Joel did his best to faithfully recreate the classic Beach Boys album Pet Sounds, using only a Yamaha QY100 sequencer/soundbank to replicate the music. The vocals were carefully performed and heavily overdubbed to reproduce the classic Beach Boys harmonies as closely as possible. This project was a labor of love and a learning experience in programming electronic instruments and in songcraft. 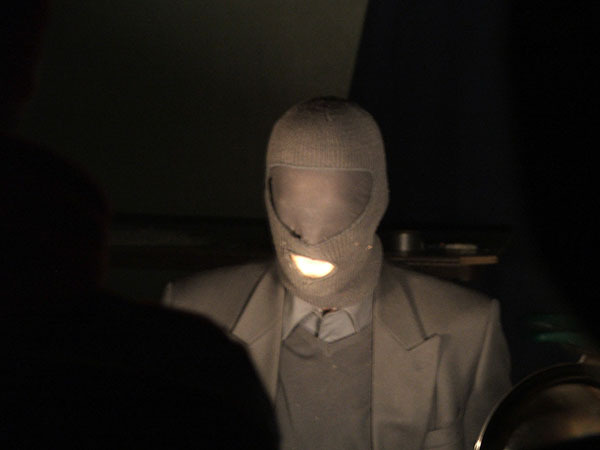 On March 1st, 2012, goLab will make his second appearance at the Robinwood Concerthouse. As before, this will be a unique and different goLab performance, featuring improvised synthesizer sounds, GameBoy rhythm composition and tweaking of various electronic test equipment units.